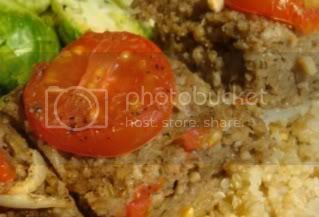 BULGUR WHEAT, AN ANCIENT, HEALTHFUL FAST FOOD! 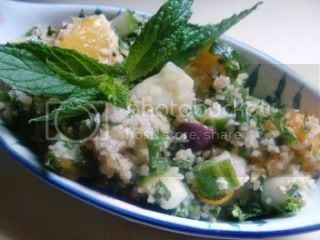 "Fruity Tabouli" from my book "World Vegan Feast". This post was updated on May 31, 2018. 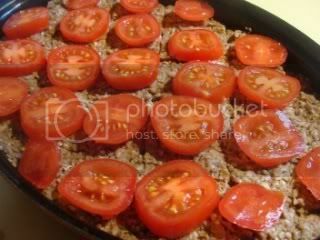 Cooking directions for different types of bulgur wheat. This time of the year almost always keep a grain salad on hand for snacking. Grain salads are hearty, filling, nutritious, and, the way I make them, low in fat. Tabouli (also spelled tabbouleh or tabbouli), the lemony Levantine bulgur wheat and parsley salad, is well-known to vegans and omnis alike. Sometimes it's the only thing we vegans can eat at a potluck! But I never get tired of it. The other day I was craving some tabouli, but I didn't have any tomatoes. I've made other versions before-- I guess you can't really call them tabouli, but I do, anyway!-- but I decided to use chopped fresh orange and mango instead of tomatoes and green peppers, and add a few kalamata olives for a savory touch. 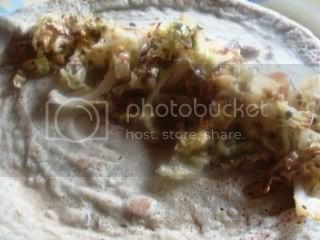 The result was delicious and I was sorry when there was no more left! 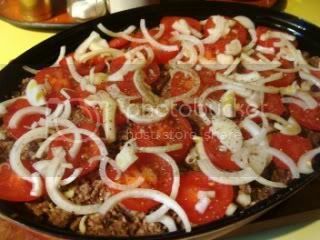 "Also known as bulgar, bulgour, or burghul, this very versatile food, is believed to have been first eaten in the Euphrates Valley as far back as 5000 BC. Since then, it has been on the daily menu of the people of the Middle East," writes Canadian cookbook writer and historian Habeeb Salloum in his article "Bulgur, the noblest food achieved by wheat" in the Vegetarian Journal, Jan/Feb 2004. In this article he describes how his Syrian immigrant family made their own bulgur on the Saskatchewan prairie. 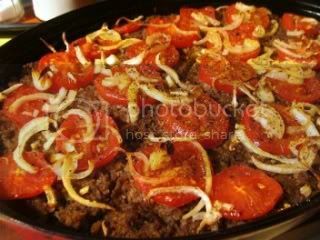 He and his young siblings did not appreciate the hard work involved in making bulgur, but he now appreciates the value of bulgur to Middle Eastern cuisine, and even modern, Western cuisine. 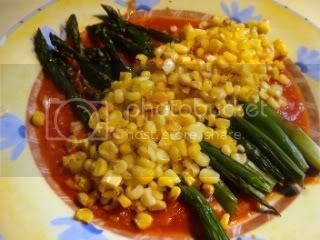 He writes, "Simple to prepare, this ancient food is an inexpensive, succulent, and versatile cereal. 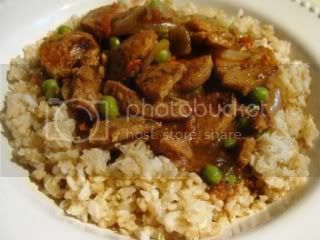 It is cooked in the same fashion as rice, which it commonly replaces, and takes about 20 minutes to prepare. 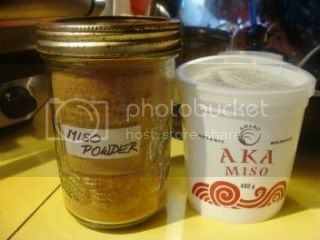 It can be used in all types of dishes, and it can be employed in every course and every meal of the day." 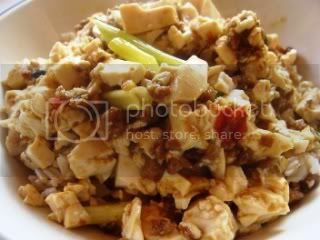 What about the nutrition in bulgur? Bulgur is made by pre-cooking whole wheat kernels, drying them, and then cracking them. That's why it cooks so quickly. 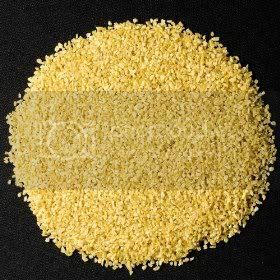 According to this interesting article on bulgur, "Bulgur Wheat is a natural whole grain food in that no chemicals or additives are used in processing the product. Many of the wheat's naturally occurring vitamins and minerals permeate the kernel during cooking thus maintaining more nutritive content than other forms of processed wheat products." This is similar to what happens with “parboiled” or “converted” rice. 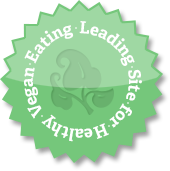 This article also reports: "The Center for Science in the Public Interest (CSPI) published two posters in 1992 describing the nutritional characteristics of bulgur wheat. The first, titled 'Nutrition Scoreboard', listed bulgur wheat as the number one grain in terms of nutrition scoring. Bulgur (69 points) outpaced wheat germ (61 points), pearled barley (60 points), brown rice (45 points) and pasta (45 points). It beat oatmeal and the highly touted Wheaties cereal (both 38 points) by 31 points! The second poster from CSPI, titled "Rough It Up", listed bulgur wheat as the third highest grain item in the Grains and Pasta category in terms of fiber content. In this category bulgur wheat beat out whole-wheat spaghetti, buckwheat pancakes, and had more than double the fiber of cous cous. The Food Research & Innovation Enterprises says "cereal foods like bulgur should be the cornerstone of our daily diet." Here's an interesting food article on bulgur wheat. 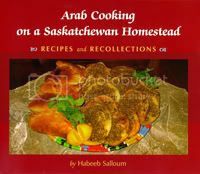 (PS: read more about Habeeb Salloum's prairie childhood and his mother's recipes in his fine book "Arab Cooking on a Saskatchewan Homestead: Recipes and Recollections". 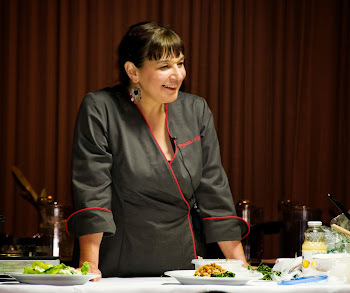 It was the Silver Winner of the 2006 Canadian Culinary Awards, Canadian Food Culture Category. 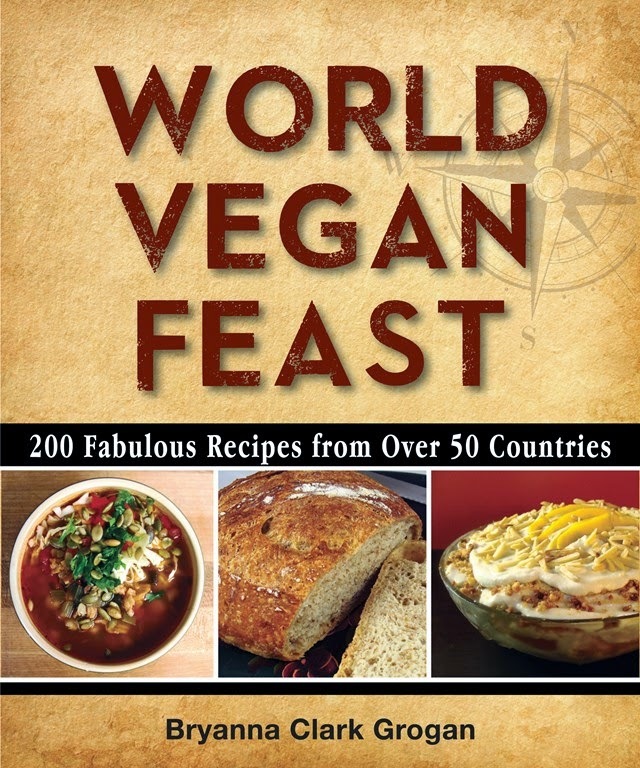 It's not a vegetarian book, but there are many fine vegetarian recipes, and the cooking lore and history is fun to read. It's one of my favorite cookbooks. For those of you with a wheat sensitivity (not a gluten allergy or sensitivity, however), there is now a Kamut® bulgur on the market! Check it out here. 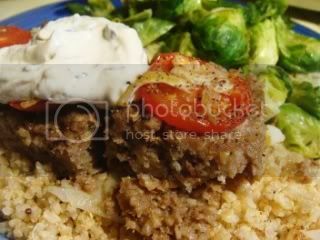 Kamut® bulgur could be used in place of couscous, as well. From what I've read, it can be used just like wheat bulgur. If you must eat gluten-free, you can substitute millet or quinoa for bulgur and couscous. This recipe from Whole Foods explains how to cook millet, especially for a salad. Here's how to cook quinoa. There used to be a product called "Rice-Cous" (not sure if that was the spelling) on the market, but it's no longer available. 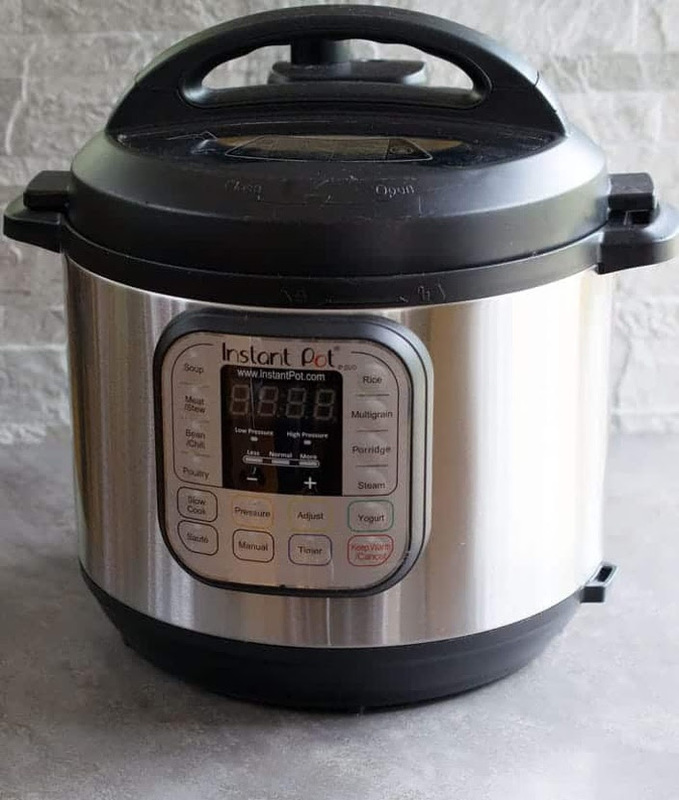 However, you can make a kind of "bulgur rice" or "rice couscous" by pulsing uncooked white basmati rice, 1/2 cup at a time, in a good blender (make sure the interior of the blender is dry!) 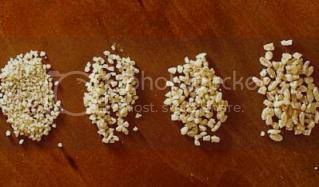 until the rice is broken into small pieces, like bulgur or couscous. Toast the rice, spread thinly on an ungreased baking sheet, at 350ºF for 20-30 minutes, stirring on and off, until it is lightly toasted. 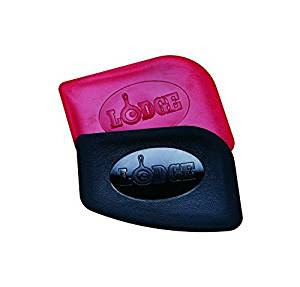 Let it cool thoroughly and store in a covered container, or zipper-lock bags. It's worth making several cups at a time. You can't simply soak this “bulgur rice” in boiling water for salads, like you do with wheat bulgur-- you have to cook it as you would cook ordinary rice, but using 1 cup liquid (water or broth) for each 1/2 cup toasted rice, bringing to a boil, then turning to low heat, covering the pot, and cooking for about 1/2 an hour. Fluff it with a fork. 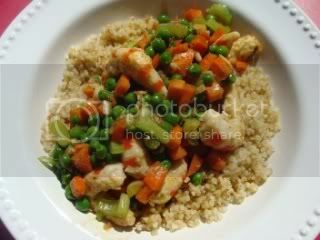 Then serve as you would couscous or bulgur, or use in a salad recipe. 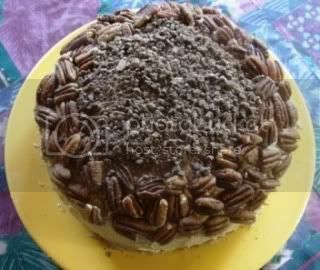 LUSCIOUS VEGAN PECAN MOCHA LATTE CAKE! Yes, it was my birthday yesterday! 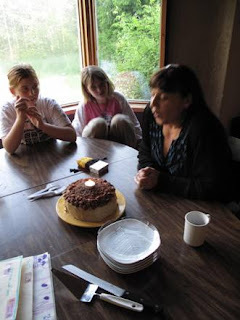 Here I am blowing out my candle with two grandaughters looking on. 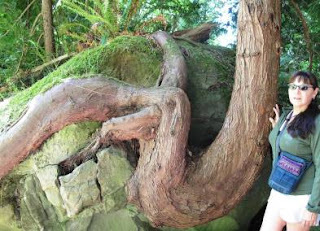 I took some time of work for an extended weekend and DH and I went over to Hornby Island on Sunday morning to walk the trail through the Mt. Geoffrey Escarpment Provincial park, which goes from the ferry landing to picturesque Ford's Cove. It was a vigorous 45-minute walk, with alot of uphill and downhill, and very beautiful. 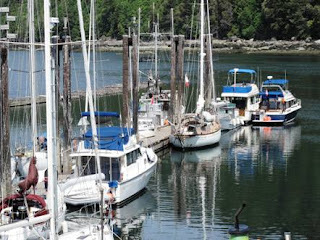 When we arrived in Ford's Cove, we walked out on the dock and sat down on a very comfy bench to enjoy the scenery, the sun and the quiet while eating the lunch we had packed. My daughter, Bethany, met us on the dock and we also met briefly with my oldest granddaughter, Savannah, who was just coming off a dive boat she helps out on. 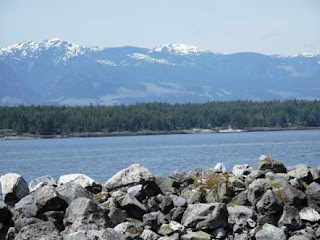 We had tea and coffee with Beth at the "Circle" near the Hornby Co-op Store, in the outdoor "Vorizo Cafe", then she drove us to the ferry and we went home. A lovely spring outing! I insisted on making my own birthday cake, over some mild protests from family members, because I have really had the urge to bake in the last little while. But DH and I have been on the Weight Watchers' Core plan (still are-- almost 15 lbs. gone--each! ), so, as you might have noticed, I haven't been making desserts! So, I controlled myself and waited for my birthday! 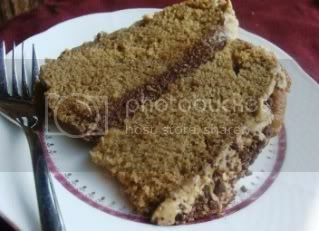 I decided to make a version of my Vegan Almond Mocha Latte Cake, which I had devised for my son's birthday a few years ago, and which was featured in one of my newsletters. I had no almonds this time, so I used pecans (my favorite nut, anyway). We took it over to my son's house to share with his family (leaving some behind, so we wouldn't indulge further!). The quarter of the cake that is left is going with us to some friends' house tonight to finish off. I will not have anymore, since it is 10.5 points per slice (1/12th of the cake-- a good size, actually), but I really, really enjoyed my birthday slice, I can tell you! This is a traditional pastry for savory pies in some parts of Italy, and I have used it for several years. I was always impressed with the crisp texture and ease of handling of this dough, considering how little oil there is in it (2 tablespoons)! Since olive oil is my primary oil for cooking (being a tasty, monosaturated oil), I have been wanting to try it in a fruit pie. But, since being on the WW Core Plan for the last 7 weeks, I haven't been making very many desserts. 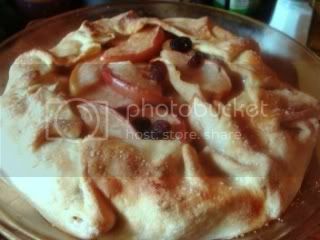 Yesterday, however, we were invited by some friends to come over for coffee, I had some apples that needed using, and we had some extra WW points leftover, so I offered to bring an apple tart. I was impressed with the almost buttery taste of it and our hosts gobbled it up with groans of pleasure. This will now be my choice for pastry for any free-form pie! (I have yet to try it as a regular 2-crust covered pie.) I may try it with half whole wheat pastry flour next time-- I'll let you know how it works! 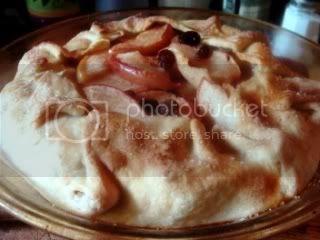 The apple filling is moderately sweetened with agave nectar and raisins plumped in sherry, but you can alter that as you like. Enjoy! This is a lovely, not-too-sweet treat. PS: If you would like a large tart, double the recipe, including the pastry and form the tart on a 14" pizza pan. Bake the large pie for 1 hour. Make the pastry as instructed in the recipe below. Place in a bowl covered with plastic wrap and refrigerate while you prepare the Fillling. You need to soak the raisins and there are 2 ways to do this. 1.) place the raisins in a small microwave-proof bowl and cover with sherry. Cook in the microwave for 30 seconds, or as long as it takes to just come to a boil. Or, 2.) place the raisins and sherry in a small saucepan and bring just to a boil over high heat. Immediately remove from the heat. Either way, cover the bowl or pan and let sit while you go on to the next step. Mix the sliced apples in a large bowl with the lemon juice, agave nectar, spices and salt. Add the plumped raisins and sherry, optional citrus zest (if using), and sprinkle with the cornstarch. Combine well. Set aside. Preheat the oven to 400°F. On a lightly-floured piece of baking parchment , roll the pastry dough out into a 13-14" circle (it doesn't have to be perfect, but avoid having any holes or very thin spots). 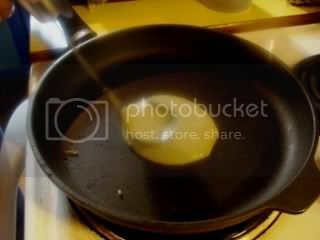 Carefully transfer the dough circle to a 9-10" pie pan or small pizza pan, lightly sprayed with oil from a pump sprayer . Pile the apple filling in the middle of the pastry and bring the edges up around the filling, to make a freeform pie. Pleat the edges of the dough over the filling, leaving a 5" open circle in the center. Brush the pastry with soy or nut milk and sprinkle with a little organic granulated sugar. Cover the fruit in the open circle (not the pastry) with a circle of foil cut to fit. Place the pie in the oven and immediately reduce the heat to 350°F. Bake the pie for about 45 minutes. Remove the foil and poke the apples with a fork to see if they are tender. If they are, remove the foil. If the pastry not golden yet, bake another 5-10 minutes, or until golden. Cool on a rack until just warm. Serve warm, if possible. Cut into 6 wedges to serve. Nutrition (per 1/6th): 235.6 calories; 18% calories from fat; 4.9g total fat; 0.0mg cholesterol; 285.0mg sodium; 204.6mg potassium; 47.9g carbohydrates; 3.6g fiber; 26.2g sugar; 44.3g net carbs; 2.7g protein; 4.4 points. This crispy pastry is very easy to handle and quite low in fat (about 1 tsp. of olive oil per serving). Perfect for rustic "freeform" tarts. If you want to make a larger tart, double the recipe and make it on a 14" pizza pan. On a lightly-floured piece of baking parchment, roll the pastry dough out into a 13-14" circle (it doesn't have to be perfect, but avoid having any holes or very thin spots). 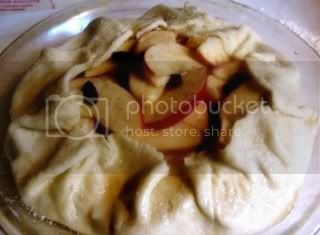 Carefully transfer the dough circle to a 9-10" pie pan or small pizza pan , lightly sprayed with oil from a pump sprayer . Pile the filling in the middle of the pastry and bring the edges up around the filling, to make a freeform pie. Pleat the edges of the dough over the filling, leaving a 5" open circle in the center. For a sweet pie, brush the pastry with soy or nut milk and sprinkle with a little organic granulated sugar. For a savory pie, brush or spray lightly with olive oil. Cover the filling in the open circle (not the pastry) with a circle of foil cut to fit. Place the pie in the oven and immediately reduce the heat to 350°F. Nutrition (per 1/6th): 115.6 calories; 36% calories from fat; 4.7g total fat; 0.0mg cholesterol; 235.8mg sodium; 22.3mg potassium; 15.9g carbohydrates; 0.6g fiber; 0.1g sugar; 15.3g net carbs; 2.2g protein; 2.6 points. 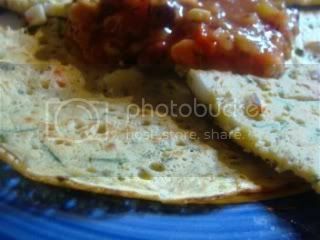 I'm really excited about these Indian "crepes" (called adai or pesarattu, made only from dal [dried legume] and un-fermented)-- they are made from beans! 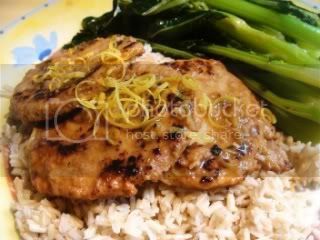 We all remarked that this simple, delicious, nourishing, and filling meal was so inexpensive to make. 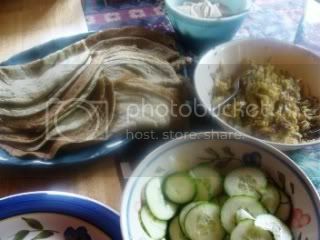 This experience has inspired me to try different kinds of Indian breads and dumplings that can be cooked in a nonstick pan, or steamed, using soaked beans, sprouted beans, bean flours, and even fresh corn. I'll let you know if I have any other successes. 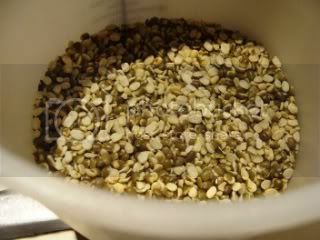 I used split moong dal, with the skins.Much later, I found my split washed moong dal (which has the skins removed), which would have made a nice white batter. Mine was kind of green! Oh, well-- next time. 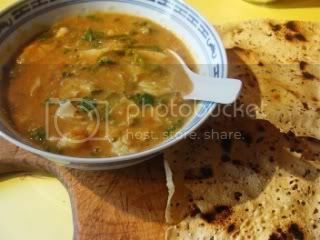 In the morning it looked like this and I had about 5 1/2 cups of soaked dal. water to generously cover-- they really soak it up! The night before you are to make the adai, rinse and drain the dal and then place in a bowl or container with room to almost triple, and cover generously with water. 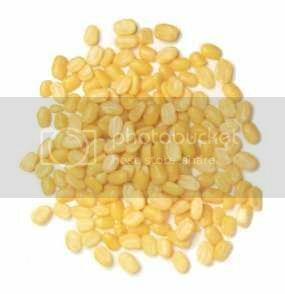 The dal will soak up alot of water, so don't be stingy! 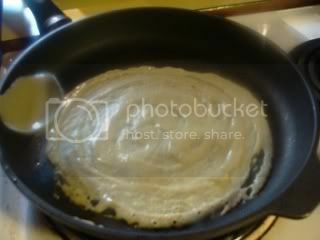 The day you are making the pancakes, make or assemble your filling(s) before starting to cook the adai. Drain the water off the soaked dal and place it in a large high-speed blender container, along with the chilies, salt and ginger. In a Vita-Mix, you can grind the soaked beans, using the tamper, without extra water, but I don't think you could do this in cheaper blenders. 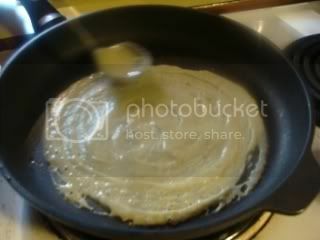 In any case, I ended up adding water to the batter, so you are safe to add 1/2 cup of water to the batter when blending. Blend the mixture until smooth, stopping and scraping down as necessary. Scoop the mixture into a bowl. Add the cumin seeds. 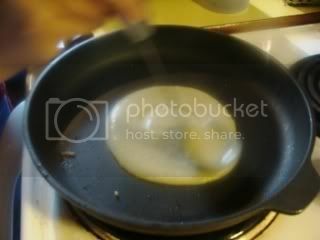 Now, adjust the thickness of the batter. If it's too thick, it won't spread easily. I kept stirring in water until it spread easily. I didn't measure, unfortunately, but the batter ended up like a regular Western crepe batter, more or less-- kind of like cream. PS: if your batter doesn't spread easily, it may be too thick. I turned the heat down just a notch or two from the "high" setting. 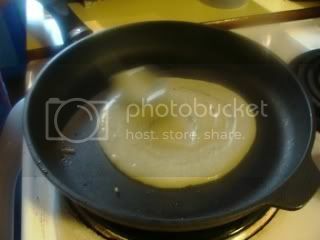 Almost as soon as you have the batter spread, it will start looking a bit dry on top. 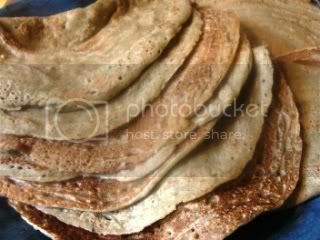 Carefully turn the adai and cook for a few seconds, then fold in half and lay on a platter with a clean tea towel over the adai. Repeat until the batter is all used up. These can be refrigerated and reheated. Nutrition (per crepe): 90.8 calories; 3% calories from fat; 0.3g total fat; 0.0mg cholesterol; 166.5mg sodium; 327.7mg potassium; 16.4g carbohydrates; 4.3g fiber; 1.7g sugar; 12.1g net carbs; 6.2g protein; 1.0 points. Instructions for seasoning a stainless steel skillet here and here. 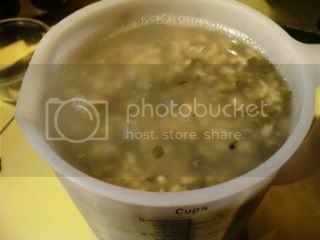 Here are some pics of things we've been eating lately. Below the photos are a couple of recipes and details about them. 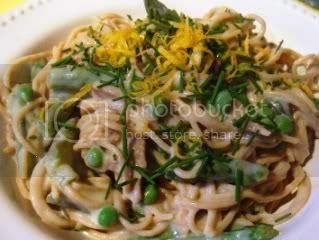 Serve with Creamy Tofu Tahini/Mint Sauce. 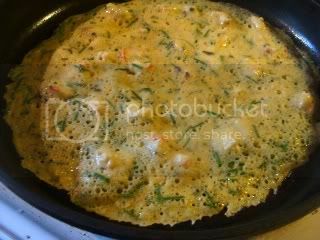 Experimenting with a vegan "tortillita" (Spanish chickpea pancake usually made with seafood--I used vegan "shrimp"). It wasn't as tasty as I would have liked, perhaps because I wasn't using much oil. I'm still working on this! 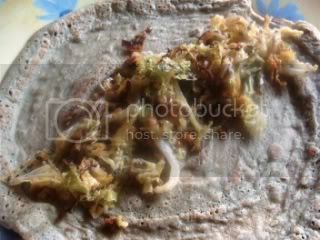 The "tortillita" before turning over. 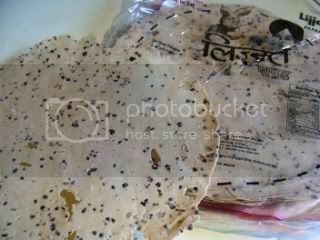 A poppadom (or papad)is a South Indian wafer made from lentil flour. 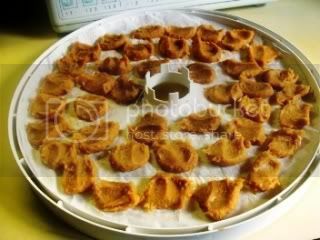 They are inexpensive and take only seconds to dry-toast or grill or fry. Very crunchy and yummy! I've been fooling around with chickpea flour alot these days, because it's a legume flour which we can eat on the WW Core plan without having to count extra points for it! 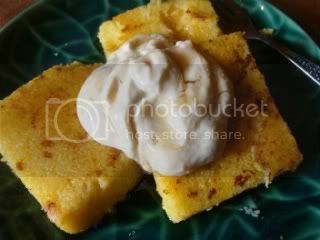 One of my favorite chickpea flour dishes is Farinata, a dish from the region of Italy where my fraternal grandmother's family originated. The dish migrated to Tuscany, where it is called Cecina (from the Italian for chickpea, ceci) or “Calda, Calda” (meaning "hot, hot"); to Livorno (Torta di Ceci); across the border to Monaco and Nice, in France, where it is called Socca; to Sardinia (la fainé genovese); and to Gibraltar (Calentita). 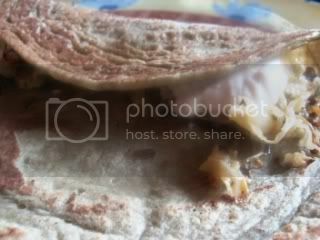 So what is this mysterious “pancake”? It’s a delicious and nourishing snack food, a flatbread, really. In Nice, their version, Socca, is a street food, cooked huge copper pans over wood burners (rather than baked), pieces eaten out of hand like French fries in a cone of paper with lots of pepper. In Italy, it is eaten at home, with a knife and fork, or at a bar. In Genoa, there are farinata bakeries everywhere. In Argentina, they eat it on pizza! 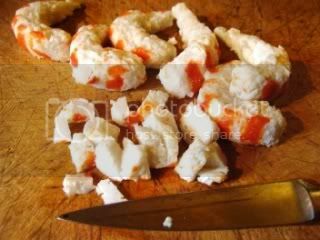 Both Italians and Niçois will tell you that it should not be made at home and it won’t taste the same if it’s not made over a wood-fired stove or in a wood-fired oven, but, trust me, a very reasonable approximation can be made and enjoyed at home! It’s basically a chickpea flour and water batter with some salt, olive oil, and sometimes garlic and fresh herbs. Some people make it thinner than others— there are many versions. 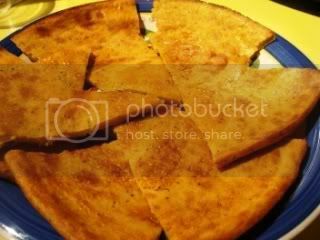 Farinata is sometimes eaten with sliced onions or artichokes. Modern chefs are now using it as a base for imaginative toppings, even salads. It couldn’t be simpler, and yet it will raise your status with knowledgeable “foodies”, if that is what gives you a thrill. It’s one of those ancient, nourishing peasant dishes (like polenta) that one now encounters in trendy, expensive city restaurants, perhaps to be nibbled with wine. But that’s okay— it can’t hurt for more people to learn to love this dish, because it’s delicious, nutritious, inexpensive and very easy to make at home, and, besides, we grow a lot of chickpeas in Canada (in southern Alberta and Saskatchewan, mostly). 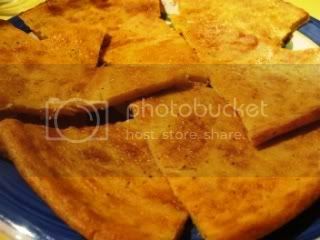 UPDATE: Here's another great way to serve farinata-- farinata with toppings! This from my book Nonna's Italian Kitchen. 2 hours before cooking, mix the water and chickpea flour in a medium bowl, cover, and let stand in a cool place for 2 hours. Preheat the oven to 475° F (450° with convection). Coat a 14" pizza pan (or an 11 x 15” rimmed cookie sheet) with 1 tablespoon of the olive oil. 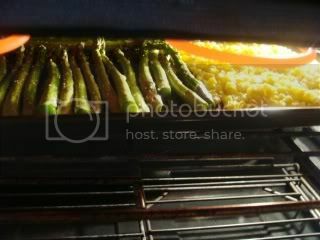 Bake for 10 minutes, then place under the broiler for a few minutes to brown the top. Grind more pepper on top, if you wish, and cut into wedges to serve. Serve hot. Nutrition (per serving): 128.8 calories; 41% calories from fat; 6.0g total fat; 0.0mg cholesterol; 251.0mg sodium; 194.6mg potassium; 13.3g carbohydrates; 2.5g fiber; 2.5g sugar; 10.8g net carbs; 5.1g protein; 2.6 points. This is nothing very earth-shaking, but I had a craving this morning for a really rich, Greek or Bulgarian-style whole milk yogurt! I like soy yogurt, but it's more like a low-fat or no-fat yogurt. 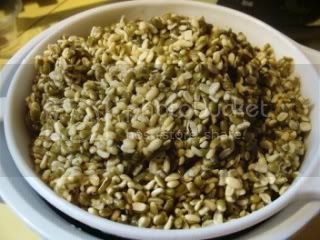 So I made a recipe that I generally use as a yogurt substitute in Greek and Middle Eastern cooking, just because it tastes so rich and is so stable when cooked. 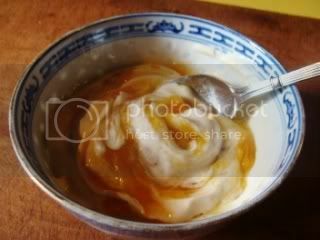 The recipe is for Tofu Yogurt, made with silken tofu. It is is almost all of my cookbooks. I made a little change, though. 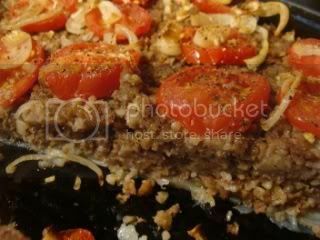 I had used the same recipe last night for the "Yogurt/Mint sauce" to go with the "Grain meatloaf" pictured above, and I put just a little bit of tahini in it. It tasted to rich, and yet you could not detect the tahini taste, so I decided to add some tahini to the yogurt recipe for eating. It is delicious! I just added a spoonful of low-sugar jam to it and ate some that way, and used the rest as a sauce on some polenta squares browned in a non-stick pan. Yummy! 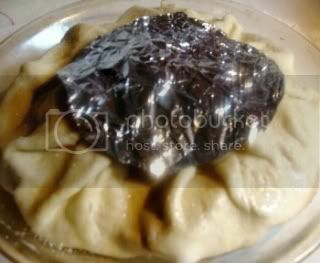 BRYANNA'S TOFU YOGURT, RICH "BULGARIAN-STYLE"
Silken tofu makes a smooth, rich-tasting mixture which can be used anywhere you would normally use yogurt, including cooking. 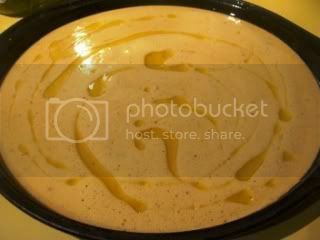 The little bit of tahini adds richness and edge, but you can use a neutral oil, if you prefer.. If you like, you can add some dairy-free acidopholis powder. Process all of the ingredients in a blender until VERY smooth. Keep in a covered container in the refrigerator for up to a week. For a snack or topping for fruit, sweeten with Grade A light maple syrup, fruit-sweetened jam, agave nectar, fruit juice concentrate, and/or fruit liqueur. Nutrition (per generous 1/4 cup): 47.7 calories; 42% calories from fat; 2.3g total fat; 0.0mg cholesterol; 116.8mg sodium; 100.6mg potassium; 2.2g carbohydrates; 0.3g fiber; 0.9g sugar; 1.9g net carbs; 4.7g protein; 1.1 points.